Listed from more recent to less recent. 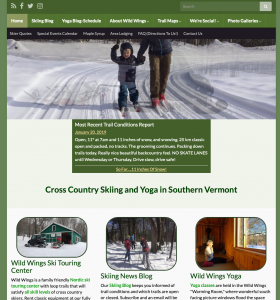 Wild Wings is a Cross Country Ski Touring Center and a Yoga Studio located in Peru, Vermont. They are known for their one way nordic ski trails and a very peaceful spot to practice yoga. This site has a skiing blog that is updated daily with the latest trail conditions and skiing news. There are also weekly updates for the yoga studio news which includes their schedule. 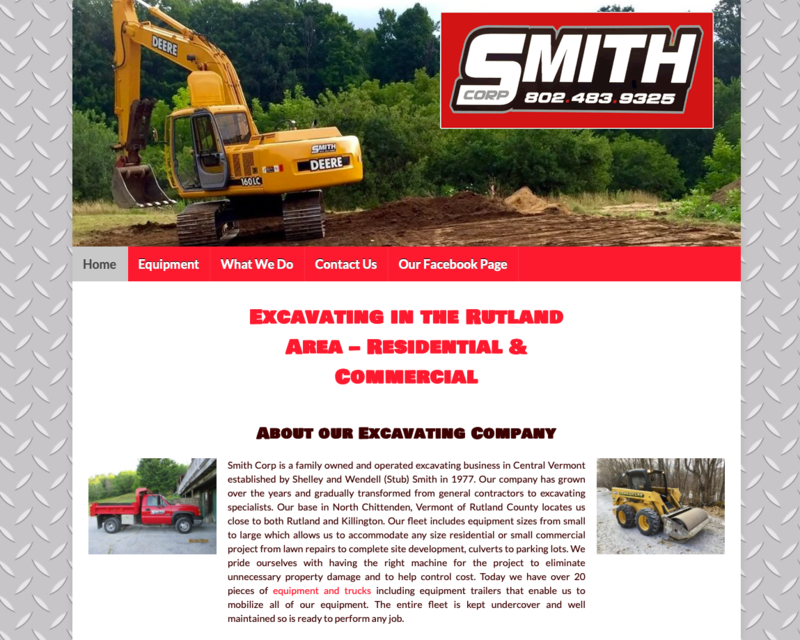 An excavation company and contractor that serves the Rutland, Vermont area. Lots of cool equipment! 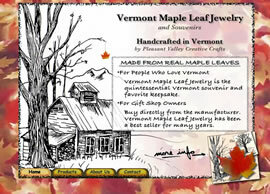 The site features a unique landing page, some sticky menus and slide show headers. 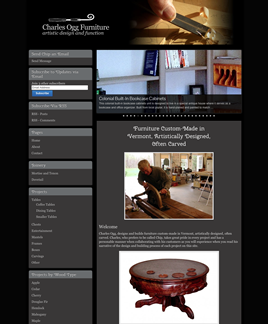 This Custom Furniture Shop wanted a site that shows off unique pieces and projects. I set up WordPress so that each piece is a blog post. Though the furniture is not time sensitive the way blogs are designed, the additional organizational features of a blog make this an excellent fit. Using tags and categories the furniture can be grouped by use, wood or unique materials. I built a WordPress blog for this site first and then built custom pages to match. 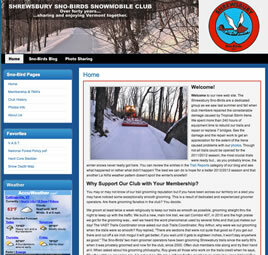 Club member can post to their blog while I maintain their pages. This site is also linked to a Smug Mug photo gallery I set up for them where they can upload photos. Updated from a custom site to a WordPress site. 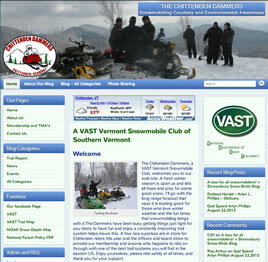 This allows club members to edit pages as well as post their own blog posts. Also still including photo sharing (Smug Mug). 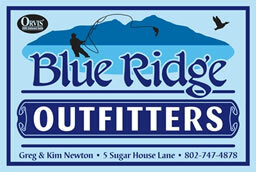 This is a canoe and kayak rental operation that has branched out to include paddle boards as well. 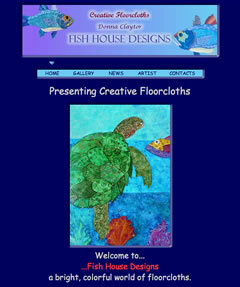 A site for Donna Claytor’s Floor Clothes. Her beautiful art work is viewable in a photo gallery where her paintings can be scene in various sizes including full screen, essential for presenting such detailed art. The site also incorporates two WordPress Blogs: one for news and one for events. An artistic site with styled text and CSS positioning instead of tables. I even included an animated gif on the home page. The client provided me with some beautiful graphics and I enjoyed editing them to fit the site. 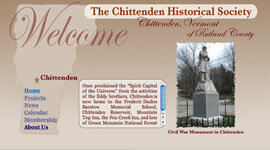 A volunteer job project for the town historical society. Older style achieved with fonts and colors yet provided modern function with java script and CSS. This site was a learning experience and demonstration of what can be done with Cascading Style Sheets (CSS). Though still not submitted to the CSSZen Garden site as it still has bugs in some versions of Internet Explorer, I present it here because people have made some great comments about it. 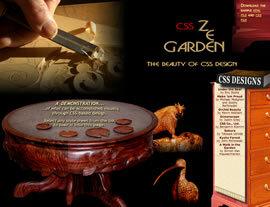 My version is no longer live but you can review the CSS Zen Garden to see what the challenge is all about. Some very creative samples there where the HTML code remains the same and only the CSS style sheet is modified to make each version of the site look and behave entirely different. A home builder site that also uses java script to change images. 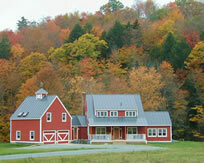 It links to the owner’s photo site where the owner can create and edit his own photo albums of construction projects. A jewelry site that uses java script to change a photo by mousing over thumbnails. See the Galleries.